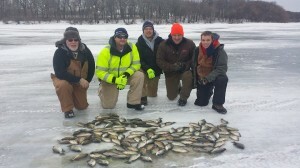 Great Fishing and Lots of Ice! I’ve been fishing on and around Clear Lake and the fishing has been great. Lots of panfish are being caught and we still have lots of ice fishing left in this season. I’ll be off to Boji Monday night and won’t be home until Friday night. It sounds like the bite has been getting better and I’m looking forward to some better fishing over there. We do have some spots open over the next few weeks so if your looking for a fun bite give us a call. This entry was posted in Fishing Report and tagged blue gills, clam outdoors, Clear Lake, Clear Lake Iowa, crappie, Fishing, fishing guide, Fishing Report, Guide, guide service, ice fishing, ice house, Iowa Fishing, Iowa Fishing Guide, Iowa Great Lakes, Iowa Musky, Kevan Paul, kevan pauls guide service, okoboji, West Okoboji on January 27, 2014 by Kevan Paul. We have a great bite going on Coralville right now. If your looking for a fun Crappie bite on a cool reservoir this bite might be for you. Fully Guided Full Day Trips are $250 and that’s for 2 people. This entry was posted in Fishing Report and tagged blue gills, boat, Clear Lake Iowa, crappie, Fish, fishing guide, Fishing Report, guide service, ice fishing, Iowa Fishing Guide, kevan pauls guide service, Panfish, pauls fishing guide, Yellow bass on January 14, 2014 by Kevan Paul. 1/9/14 – 1/12/14 was a very tough bite on West O. Over the last few days I can honestly say that we got are butts handed to us. This was the worst weekend I have ever had. The good news is that it can only get better. 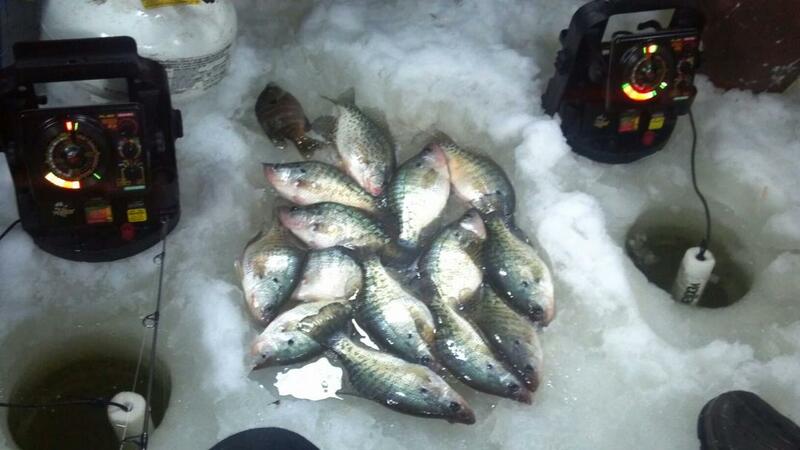 We did manage to catch a few hogs. I’ll be going back over Wednesday to work on the bite for the upcoming run of trips. I’m going to try a couple different game plans and I do think they will pay off. 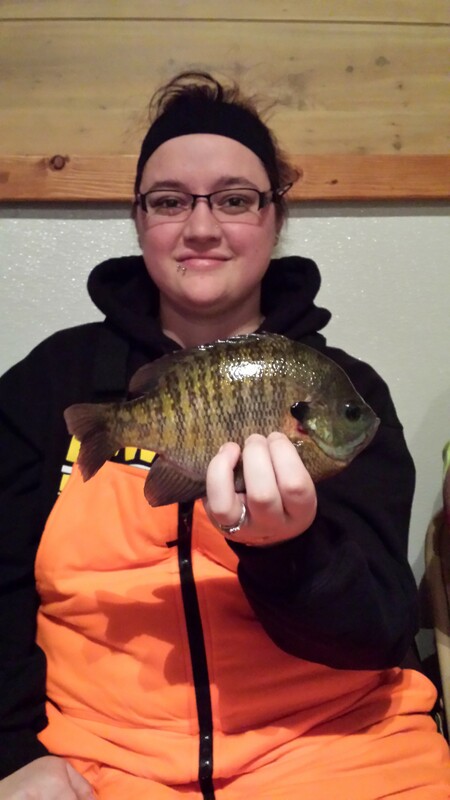 Clear Lake has continued to be good for Yellow Bass and Crappie. 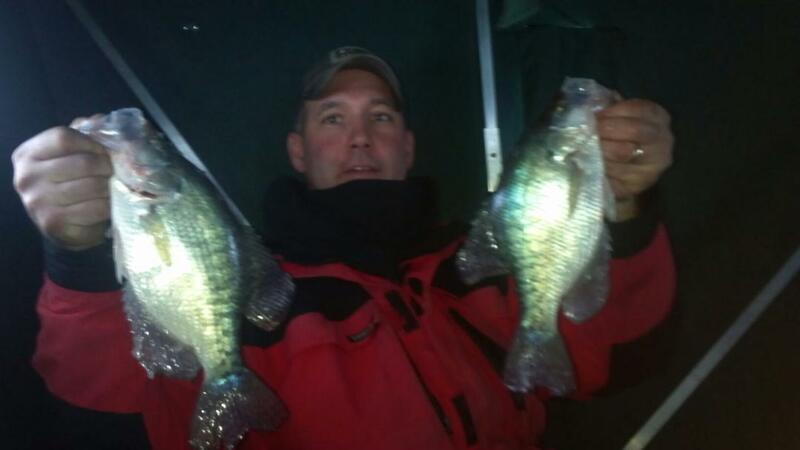 Crystal Lake has been a hot spot for Gills and Crappie. 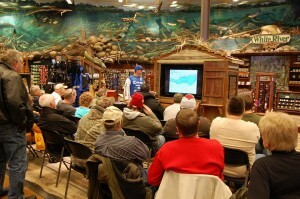 Both of those lakes are located in North Central Iowa and a lot of fun to fish. ICE REPORT!! The ice is great with little to no snow cover. 20 to 24 inches most everywhere. Hot Bait. Clam Dingle Drop and a Maki Maki Pink. 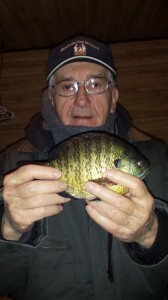 This entry was posted in Fishing Report and tagged blue gills, clam outdoors, Clear Lake Iowa, crappie, fishing guide, Fishing Report, Guide, ice fishing, Iowa, Iowa Fishing, Iowa Fishing Guide, Iowa Great Lakes, Iowa Musky, Kevan Paul, kevan pauls guide service, Panfish, pauls fishing guide, people, perch, Smallmouth Bass, Spirit lake, walleye, Yellow bass on January 14, 2014 by Kevan Paul. 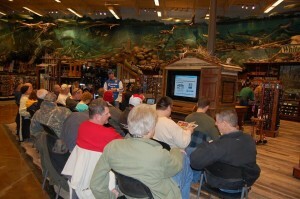 I spent the day at Bass Pro in Altoona Iowa. 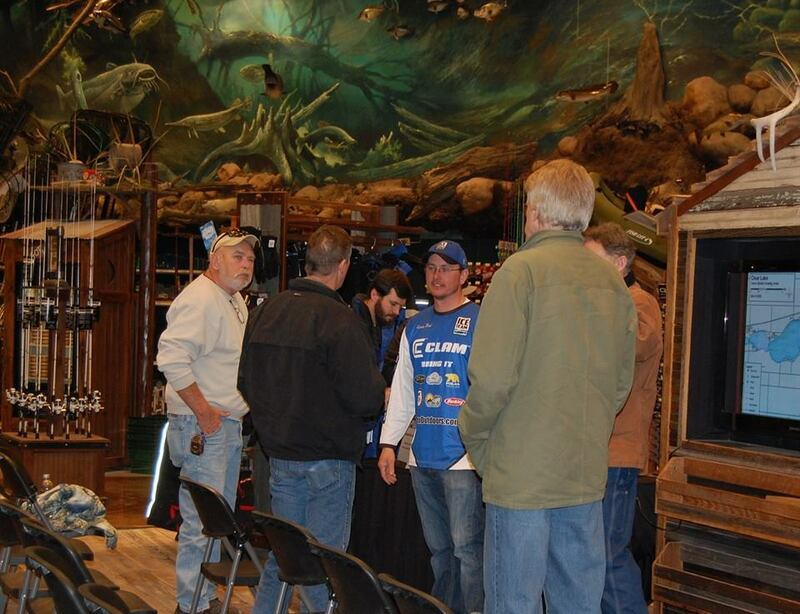 The turnout was huge and the people were great. 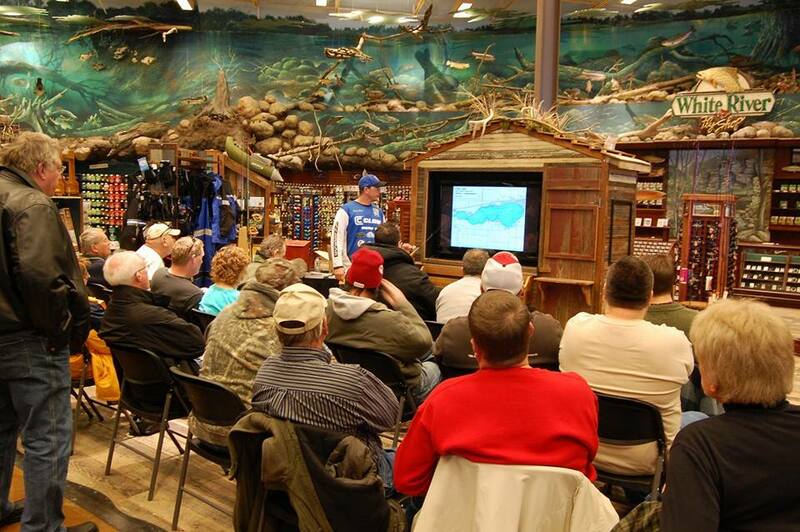 During my seminar we talked about North Iowa Fishing Tactics. 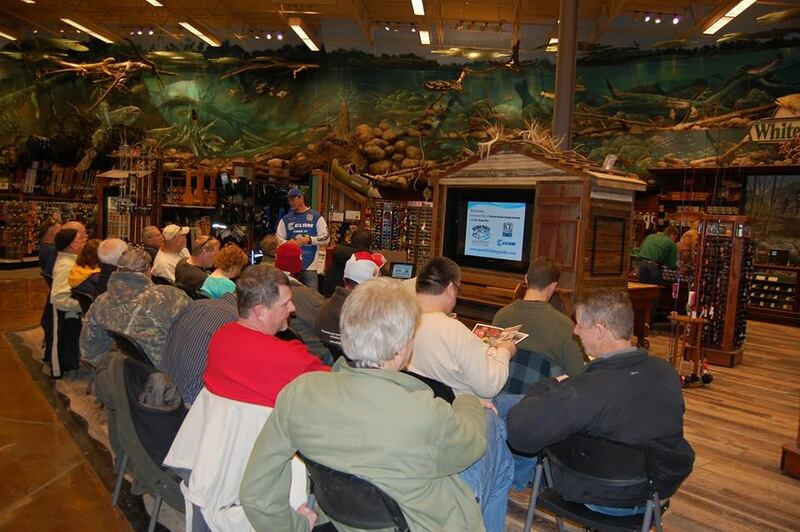 We spent some time talking about Clear Lake, Crystal Lake, and the Iowa Great Lakes. I would like to thank everyone that came out today despite the cold weather. This entry was posted in Fishing Report and tagged blue gills, clam outdoors, Clear Lake, crappie, Fishing, fishing guide, Guide, ice fishing, Iowa Great Lakes, Kevan Paul, kevan pauls guide service, Muskie, okoboji, Panfish, pauls fishing guide on January 5, 2014 by Kevan Paul.